Discover the magic of mindset by combining yoga and the tarot. Tarot reflects the inner experience. The symbols of the tarot allow our conscious and unconscious mind to weave together an empowering narrative of the self: to re-author your present, reclaim your perspective, and realign a future you desire. Yoga practitioners already have a beautiful framework in place through which to understand the Tarot. 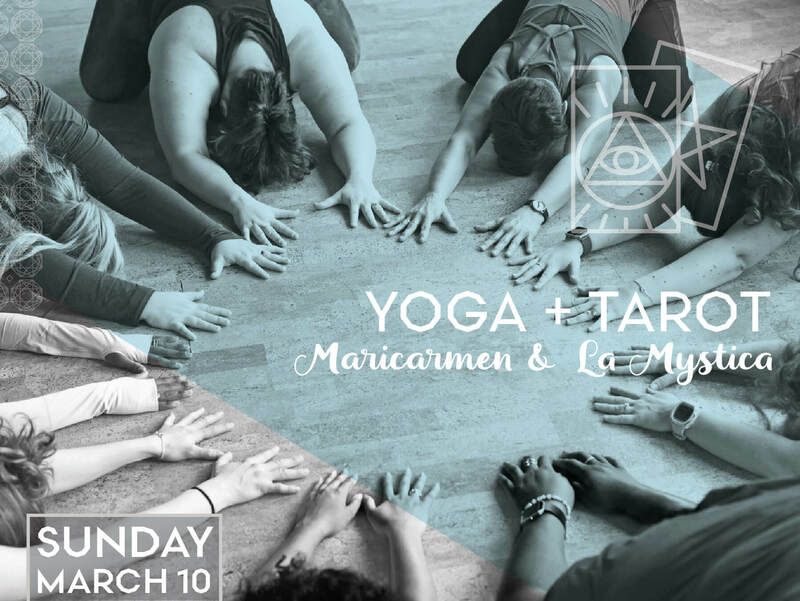 This 3-hour event includes some quick-start tips about the cards, and how to incorporate Tarot meditations on the mat. In combination, the Tarot and yoga offer potent medicine of self-reflection and integration. 3 hour event includes Inspired Shakti™ flow, tarot workshop, treats and treasures. Event cost: $75 + $30 for your own tarot deck & guidebook by local artist Mesquite Tarot. Please bring the $30 on the day of the event. Space is limited to 25 women. Please sign up in advance.